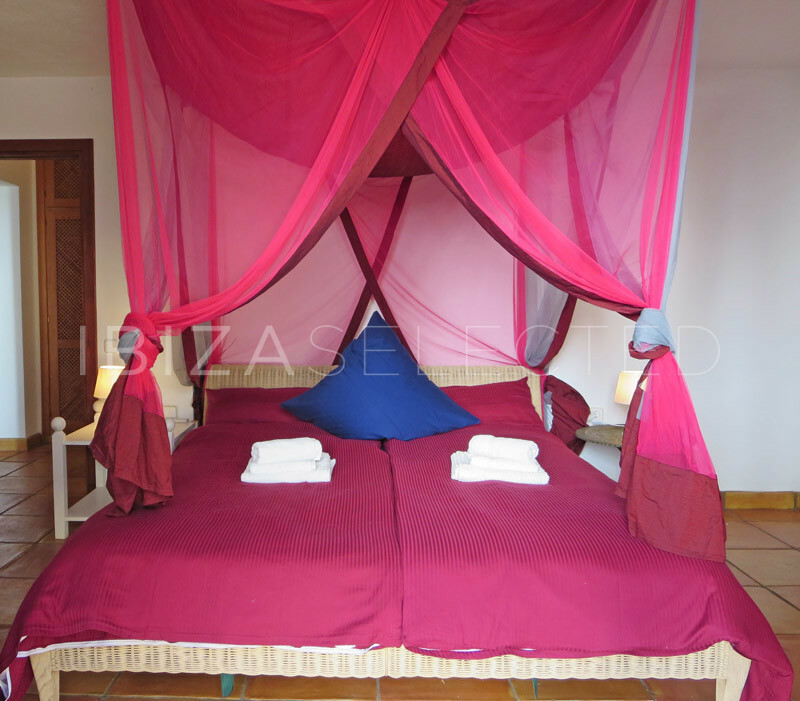 Villa Casa Elefante is a modern 4 bedroom villa located in the supervised urbanization in Can Furnet. 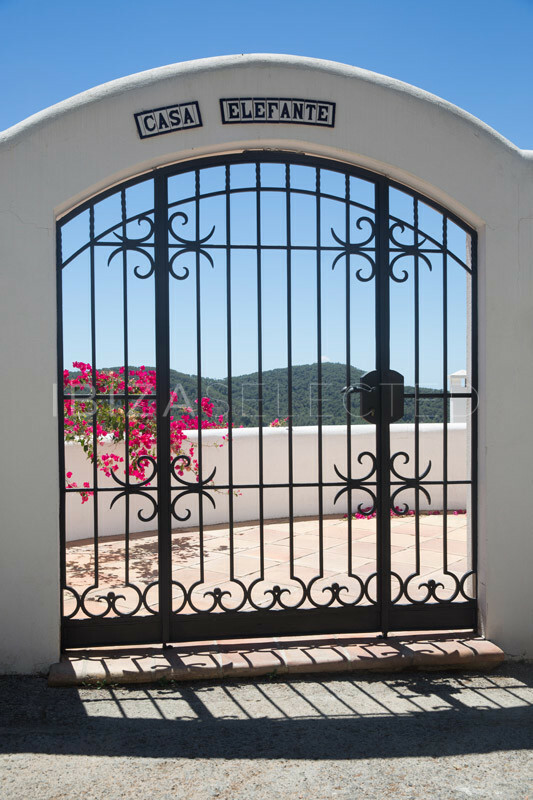 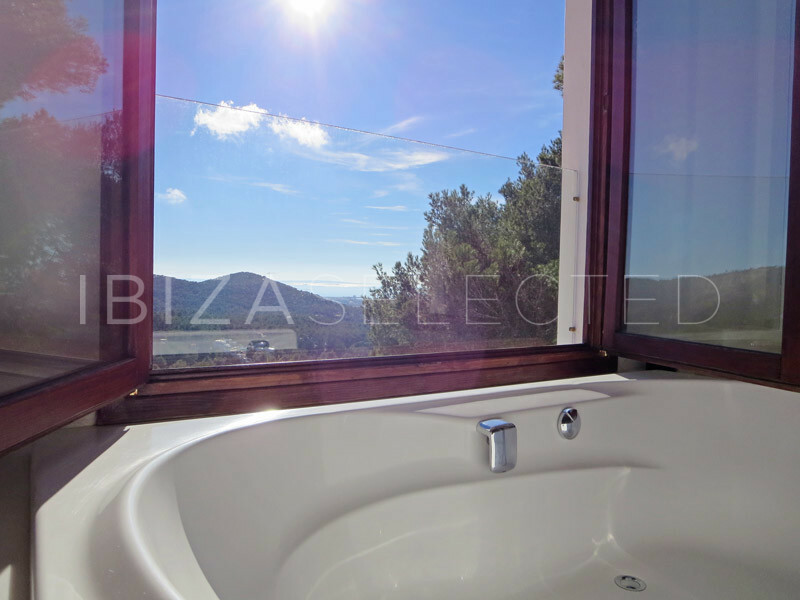 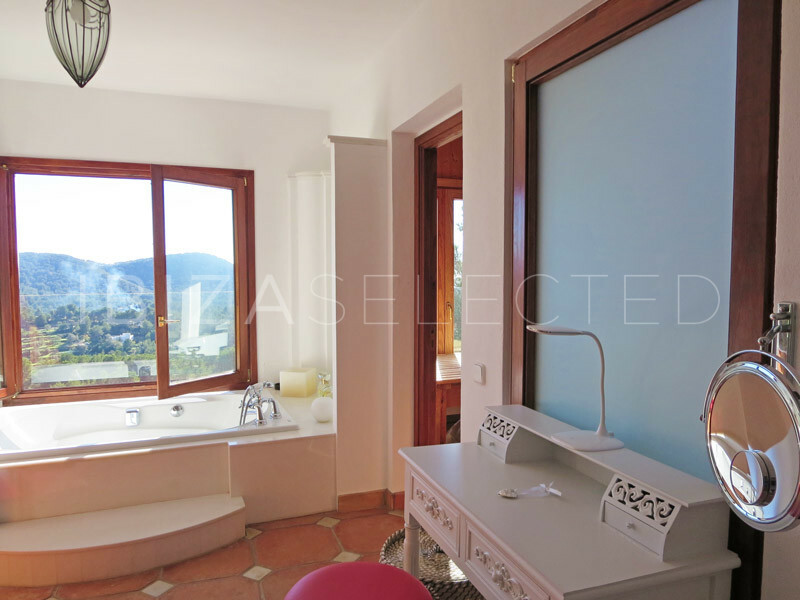 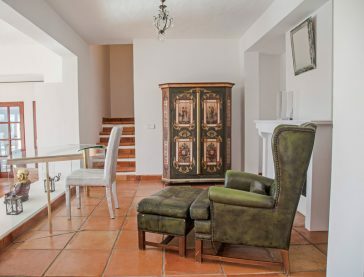 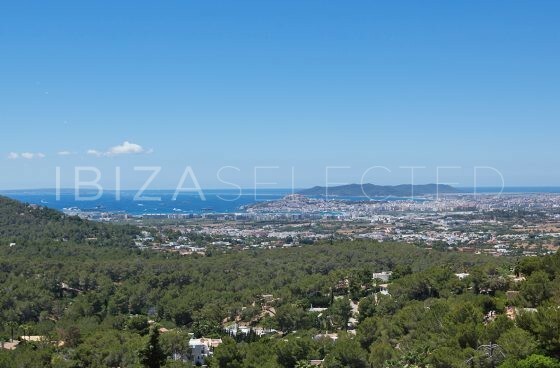 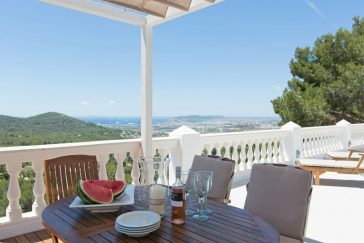 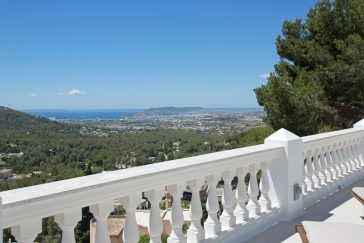 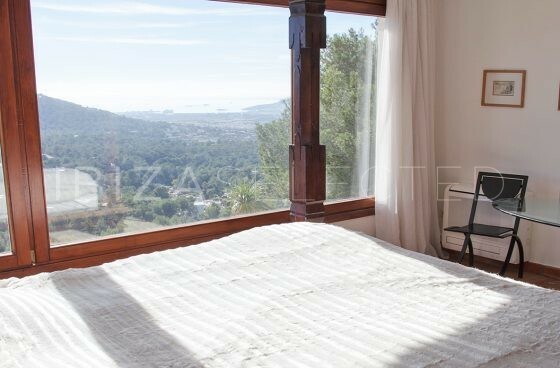 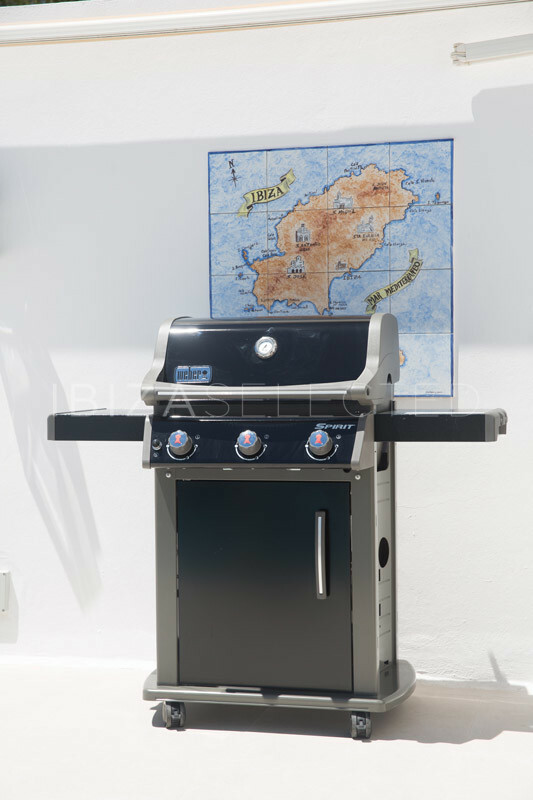 It offers fantastic views over Ibiza Town with surrounding coasts and distant views to Formentera. 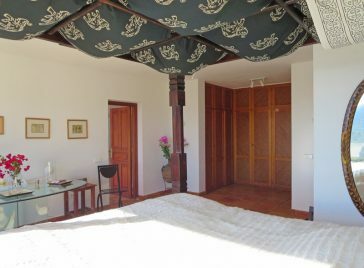 The 5 air-conditioned bedrooms are spacious and tastefully decorated. 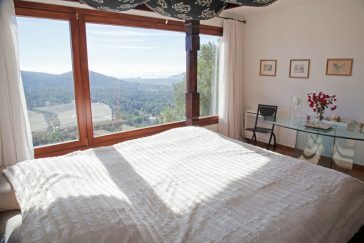 The master king size is located in the upper area with a fantastic view. A Balinese four-poster bed, large en-suite bathroom, jacuzzi, sauna, walk-in closet and spacious reading / dressing area complete the luxury. 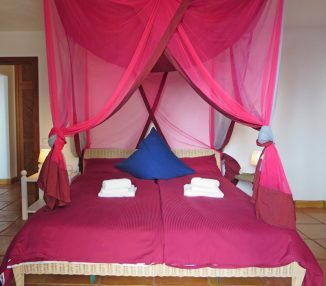 The 4 other, comfortably furnished bedrooms, with 4 double rooms, offer enough space for families or groups. 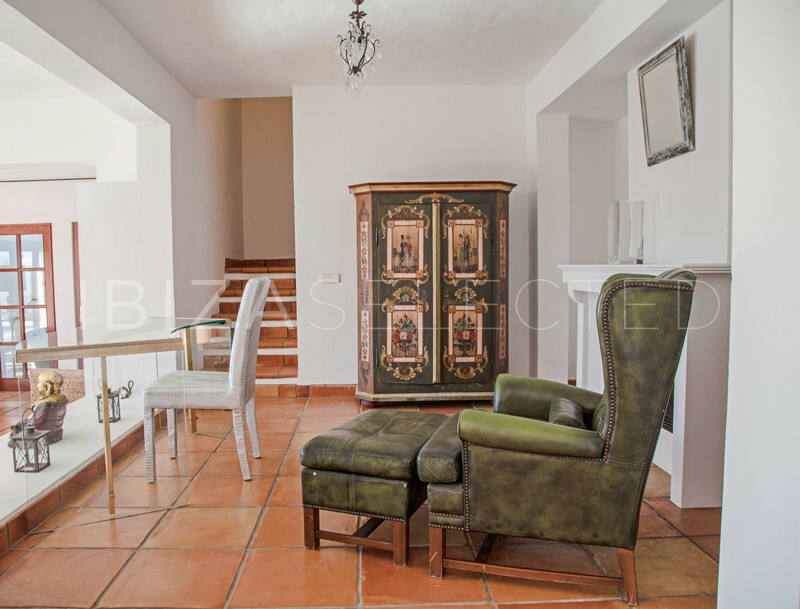 In the large open living area is a welcoming sofa, a large lounge and work area, which are tastefully designed. For enough sunlight and a pleasant coolness, there are glass doors towards the pool and sun terrace. 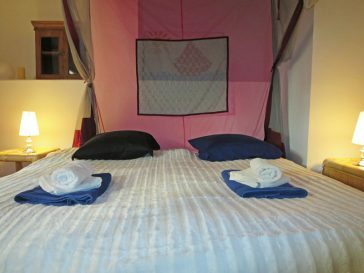 Modern mod-cons, WiFi, plasma TV, satellite and sound system are available. 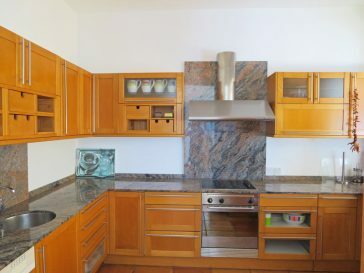 Adjacent to the living room is the dining area which connects the well stocked kitchen with a breakfast bar. 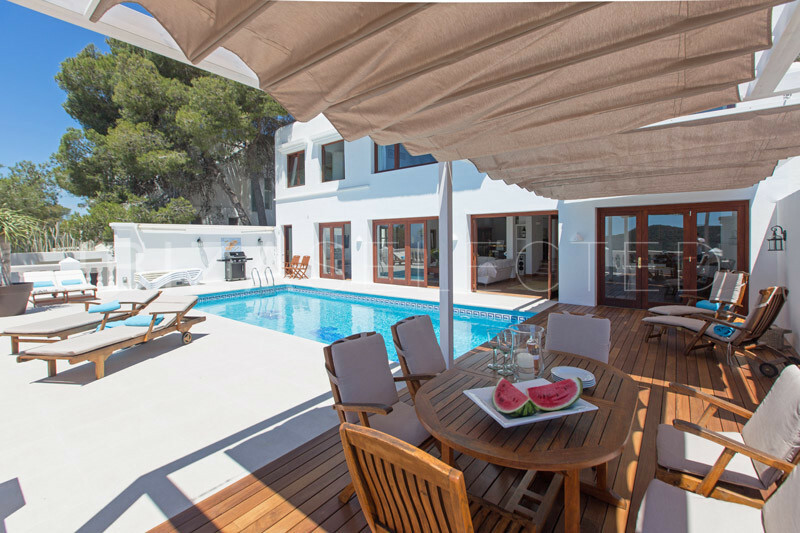 These rooms have pool access or lead to the sun deck with loungers, gas BBQ, multiple seating areas and a dining area. 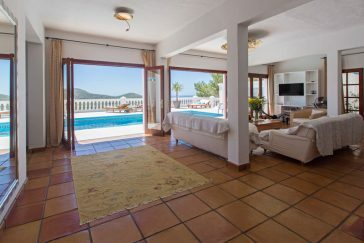 The additional living room on the first floor, with sofas, seating area and work area, offers a second living area with stunning sea views. 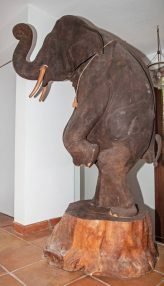 The villa Casa Elefante shines in a quiet ambience and is connected to the main living room by a Thai-style water fountain. The property is alarm-protected and surrounded by ferns and plants providing a high level of security and privacy. 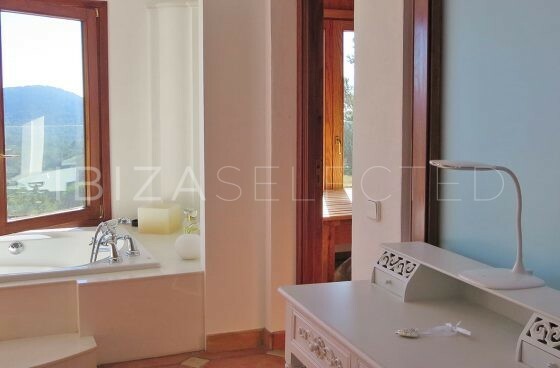 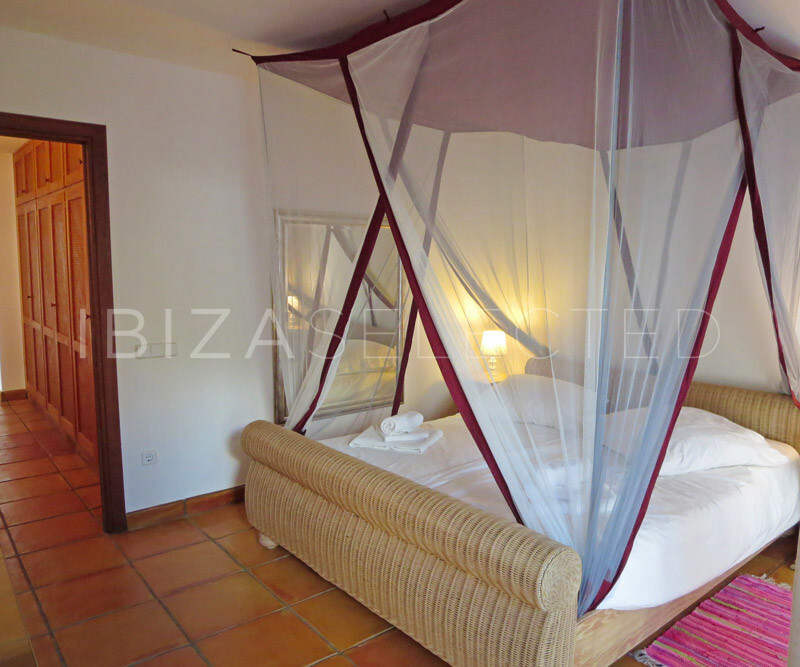 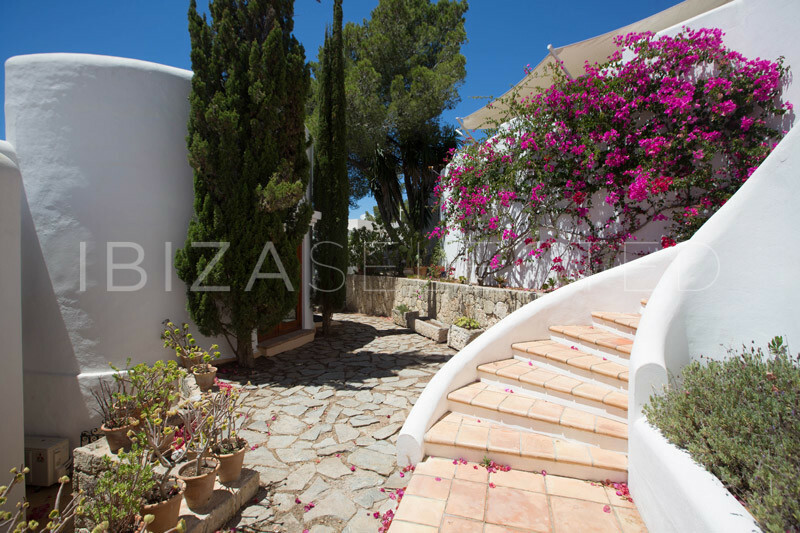 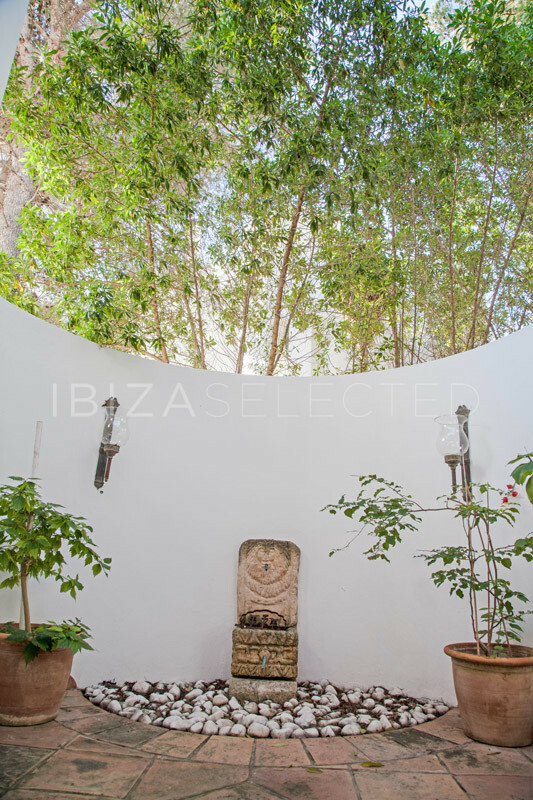 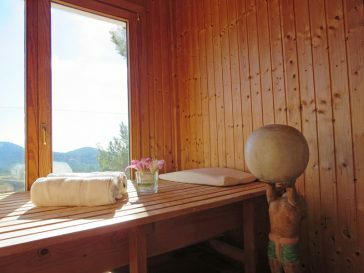 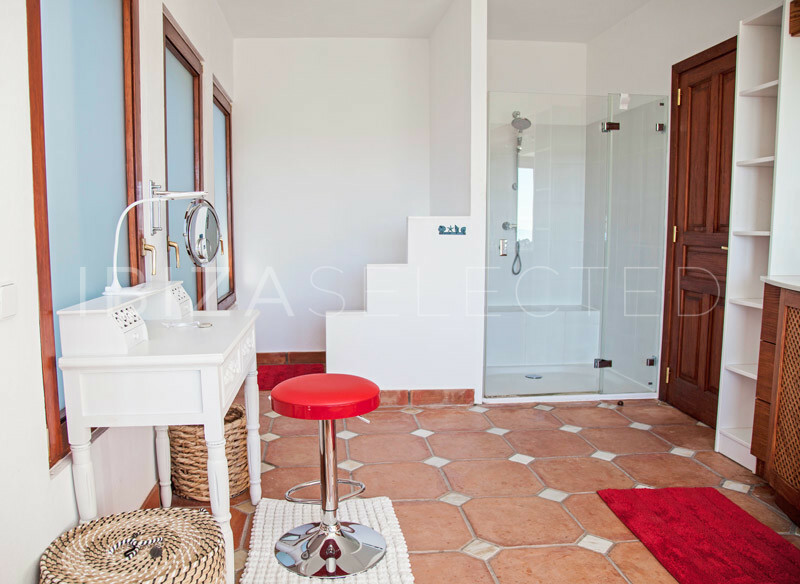 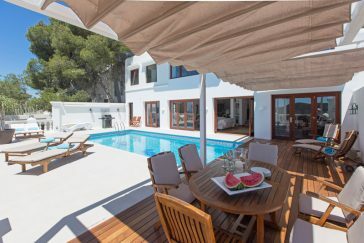 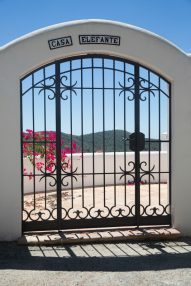 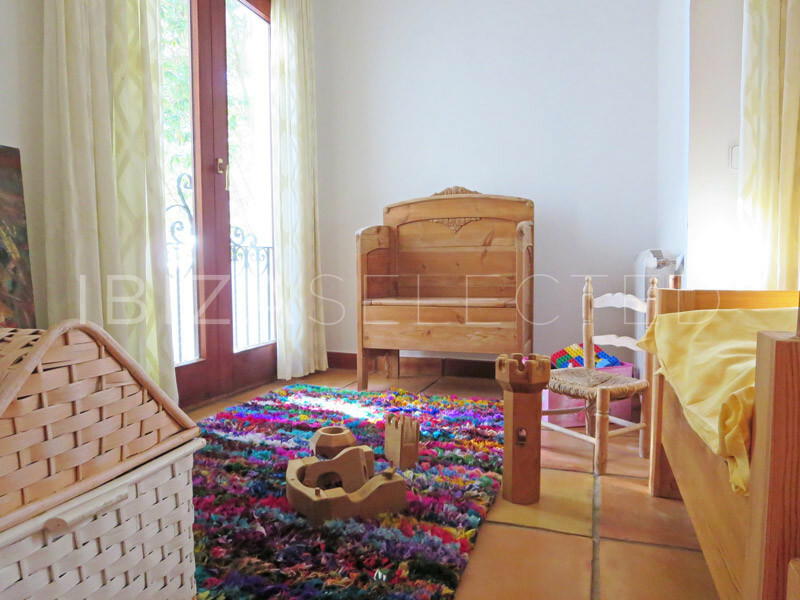 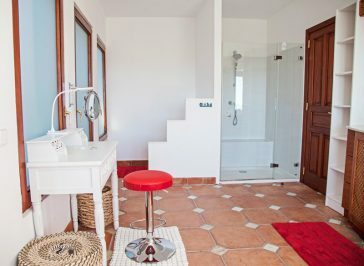 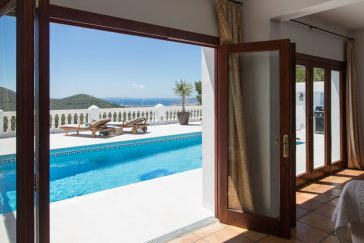 The villa is a guarantee for a relaxing and unforgettable dream vacation on Ibiza.